Evaluate existing kitchen and bathroom cabinets. We start by evaluating any existing kitchen and bathroom cabinets you plan to keep and determine the best way to modify both the cabinets and layout. In some cases, removing a wall can open up a kitchen and also allow for a more modern layout of custom kitchen cabinets. Design new kitchen and bathroom cabinets. The professionals at Houston Cabinets will design your kitchen and bathroom layouts to create the space of your dreams! We work with you to select the best finishes for your custom kitchen cabinets and custom bathroom cabinets, ensuring the hardware, handles, countertops, lighting, flooring, appliances and accessories all complement one another. As one of the preferred cabinet contractors in the Houston area, we pride ourselves on being able to conceptualize a design that meets your needs and budget. Houston Cabinets proudly partners with distinguished brands including, Bertch Cabinets, KraftMaid Cabinets, Merillat Cabinets and Kemper Cabinets to help us deliver only the best. 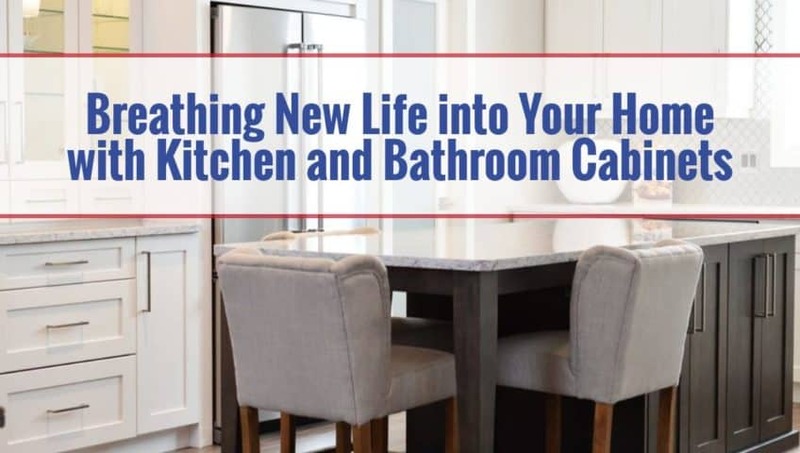 If you are planning to re-vitalize your home in 2019, give Houston Cabinets a call to get started today!